Trevor Lamb completed his ninth marathon on 10/04/16 in Rotterdam in a time of 4:56:23. 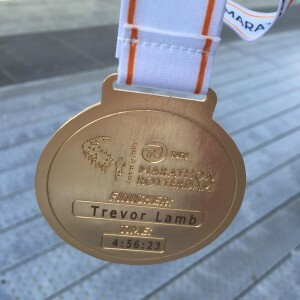 He got a nice shiny medal for his trouble. 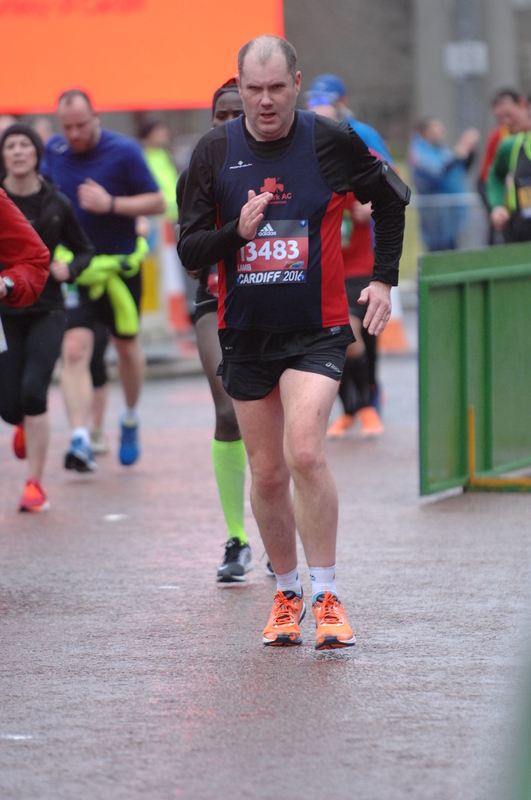 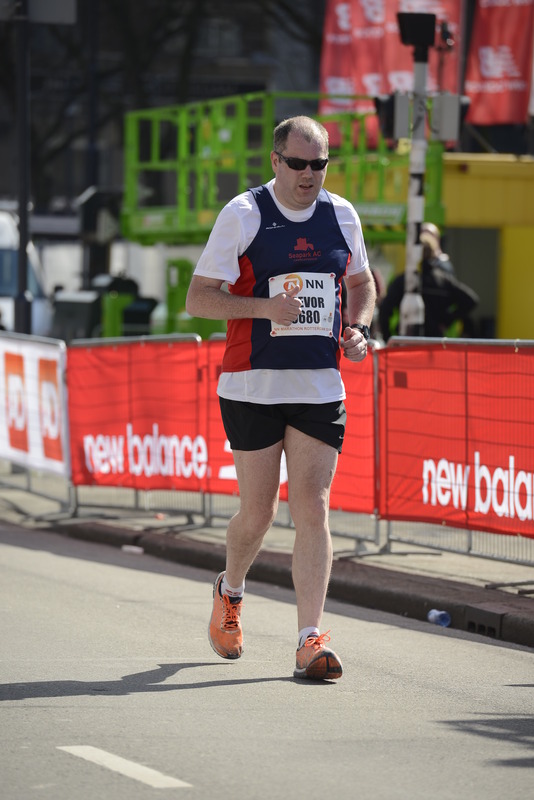 While on the same day Seaparker Alyn McChesney completed the Manchester Marathon in 5:49:40. 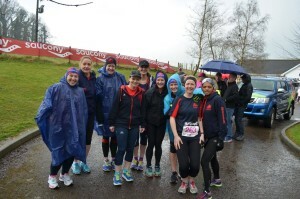 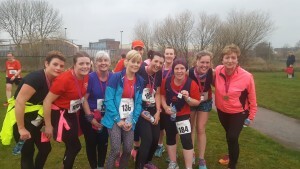 31 Seapark AC members took part in the Titanic 10K, which was also on 10/04/16. 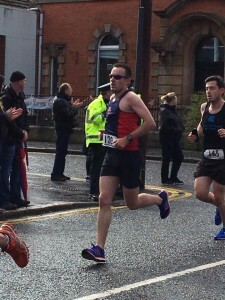 Ian Cleland was the first club member home with 37:42. 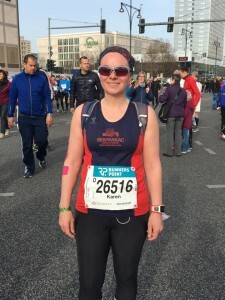 Nine achieved a PB. 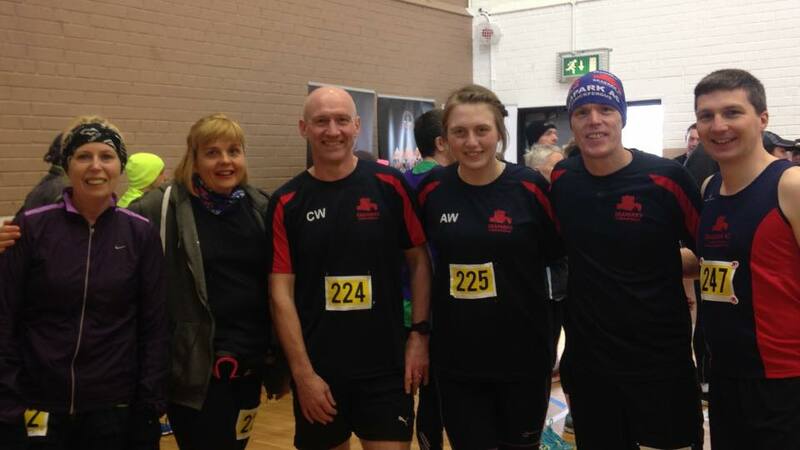 Elisoa Crawford 41:05, Jonathon Bell 45:29, Phil Mone 45:54, Gillian Strudwick 47:40, Andrew Smyth 49:18, Julie Clyde 49:37, Julie Marshall 57:41, Karen McMaster 1:01:20 and Geraldine Kane 1:02:31. Geraldine’s time last year was 1:10:11. 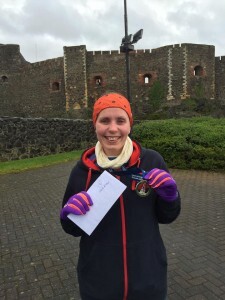 Plus for Chloe Anderson it was her first ever 10K race with 1:02:39. 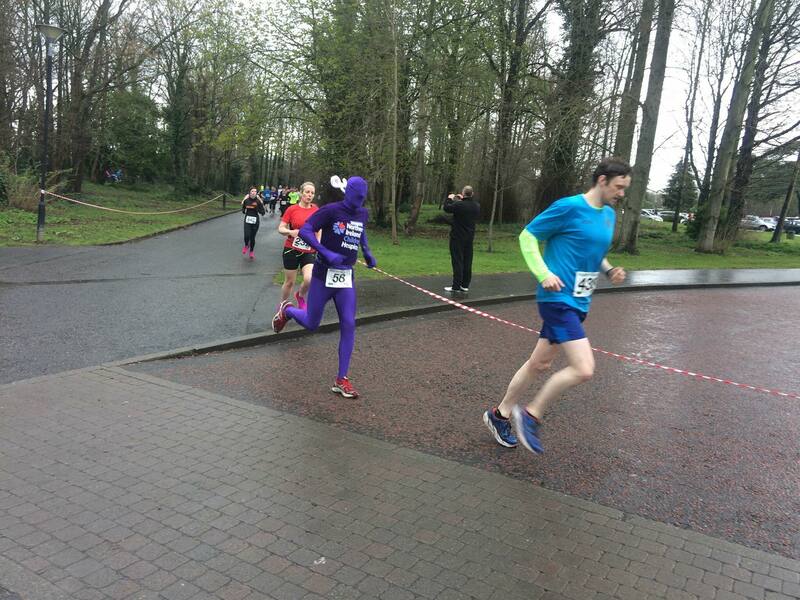 Over 300 runners attended the Ballymena Belles 5 Mile Road Race on 12/04/16 and of course Seapark AC was there. Julie Clyde 40:55, Josephine McAlister 47:04, Rebecca Tester 47:26, Alyson Sangster 48:49 and Karen McMaster 49:53 all ran the 5 mile course. 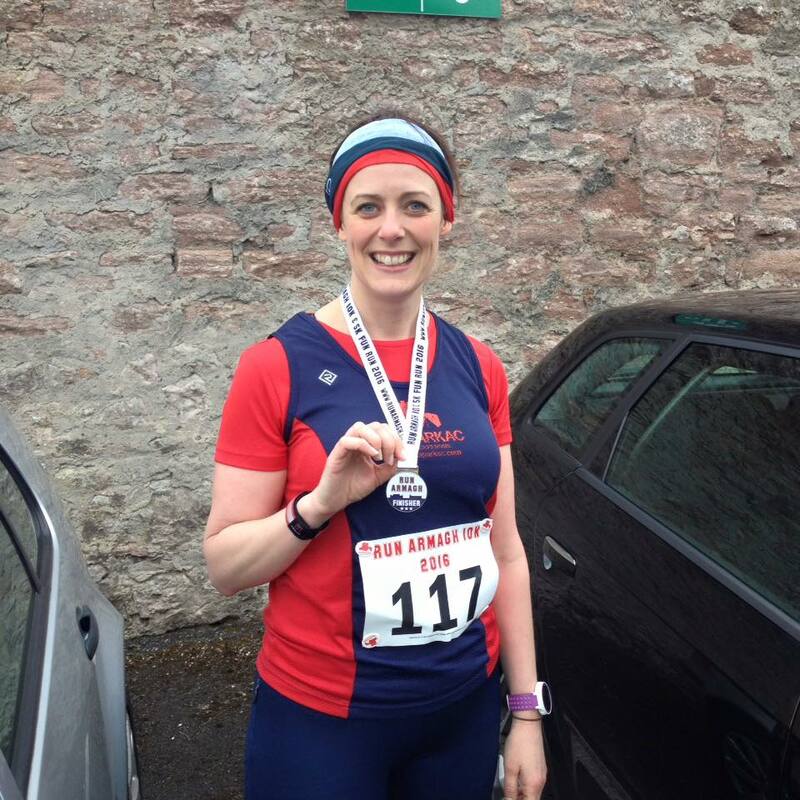 Gillian Cordner was the 1st lady home at the EAMS marathon on 14/04/16 with a time of 3:51. 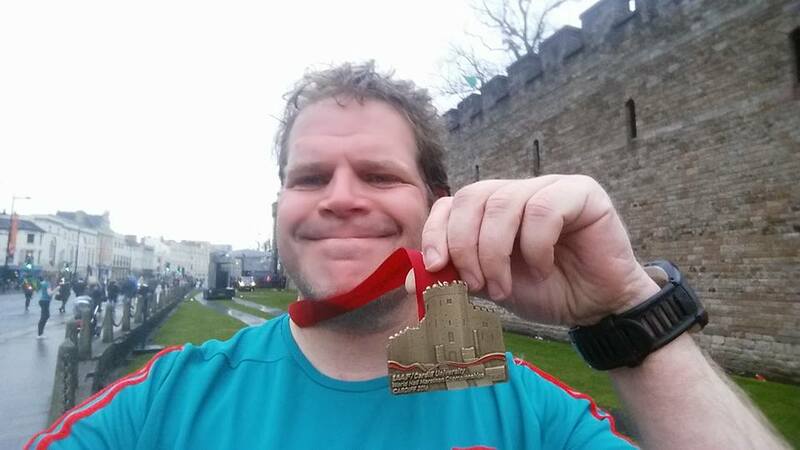 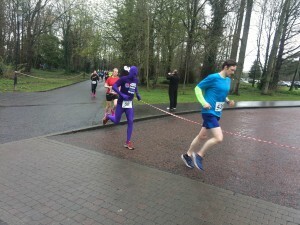 At the Born 2 Run Castle Ward challenge on 16/04/16 Seapark AC had 7 people do the 10K and 15 do the half marathon, plus Philip Poag did the 10K walk. The 10K was ran by Bobbie Irvine 44:39, Trevor Lamb 59:14, Carol Woods 1:00:29, Nicola Irivne 1:01:44, Jenny Robinson 1:04:20, Geraldine Kane 1:12:25 & Carol Downey 1:22:03. 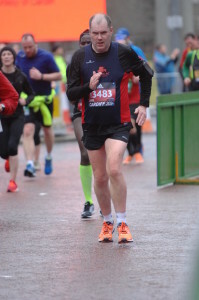 While the half marathon was ran by Ian Cleland 1:32:04, Philip Mone 1:51:37, Mark Welsh 2:02:19, Gary Connolly 2:07:15, Gillian Cordner 2:07:15, Karen Poag 2:12:20, Julie Clyde 2:18:17, Karen Hanson 2:25:30, Jacqui Coghlan 2:26:31, Alison Welsh 2:26:32, Sara Johnston 2:26:33, Josephine McAlister 2:32:00, Becki Tester 2:49:13, Caroline Mone 2:49:46 and Helena Perry 2:59:20. 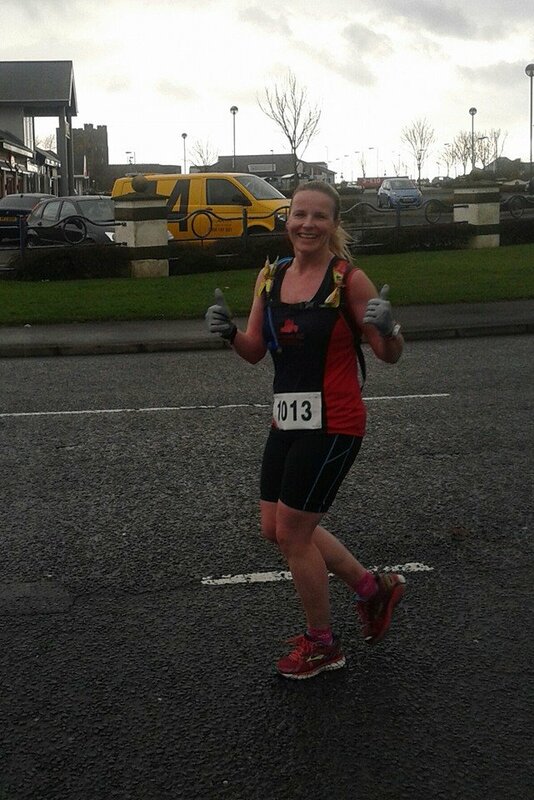 And on 17/04/16 Ruth Hawkins completed the Armagh 10K in 50:36. Seaparkers were all over the UK & Ireland + mainland Europe over the last few weeks. 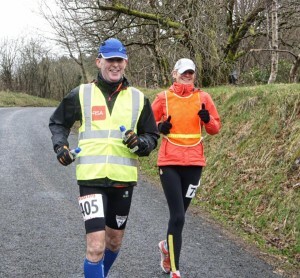 Gillian Cordner and Gary Connolly travelled to Wicklow to take park in the Vartry 100. 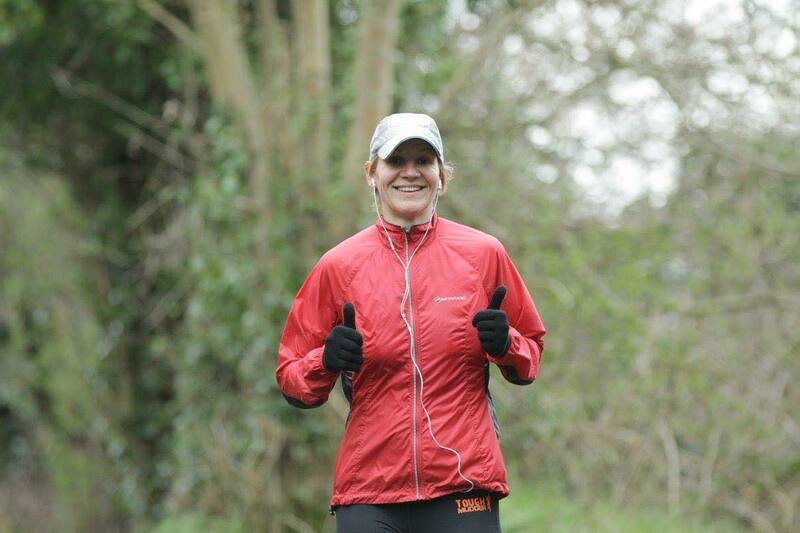 Despite challenging conditions Gillian completed the 100 mile event in 20 hrs 57 mins and was 3rd lady home with a PB by approximately 2 hrs 47 mins. 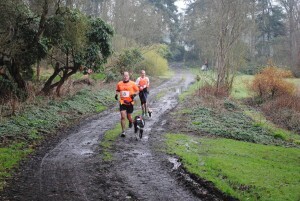 Gary ran the 50K event in 5 hrs 58 mins. In the Mussenden 10K on 26/03/16 in Castlerock Clive Weatherhead was the 1st Seaparker home, and 9th overall, with 41:26. 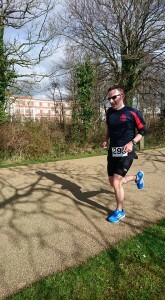 He was followed by Brendan Rice 42:15, Richard Hetherington 42:52, Aimee Weatherhead 55:03 and Susan Kane 1:10:19. 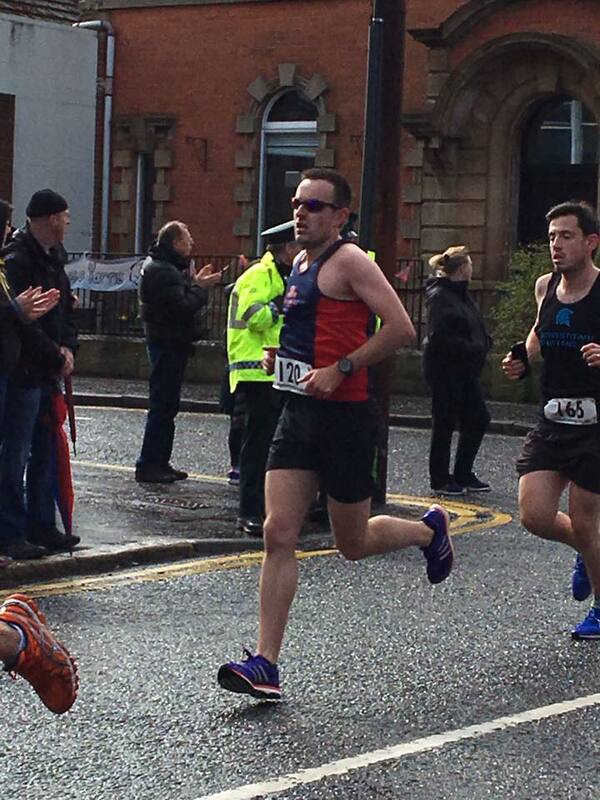 In the Omagh half marathon on 26/03/16 Charlie McCormick finished in 1:28:50 and was followed by Robert Murray 1:33:26 (PB) and Gillian Strudwick 1:46:13. 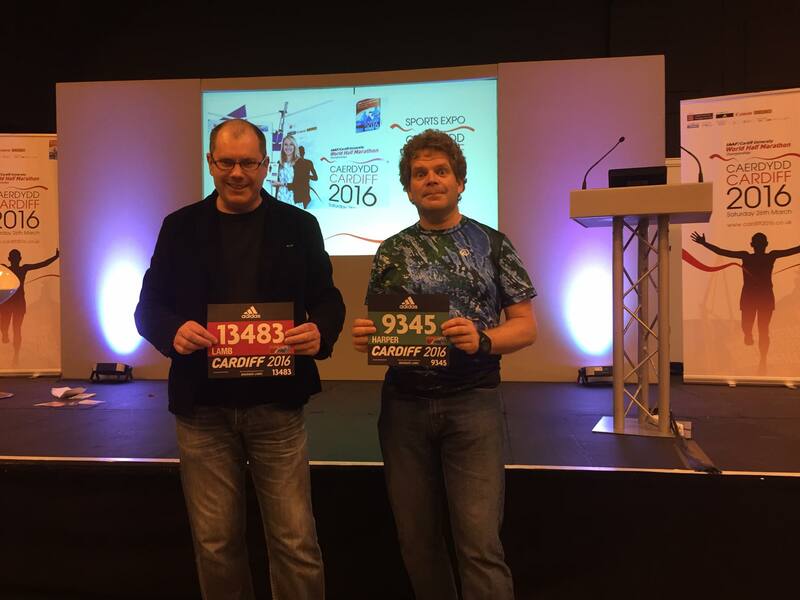 Neill Harper and Trevor Lamb travelled to Cardiff for the IAAF/Cardiff University Half Marathon Championships that took place on 26/03/16. 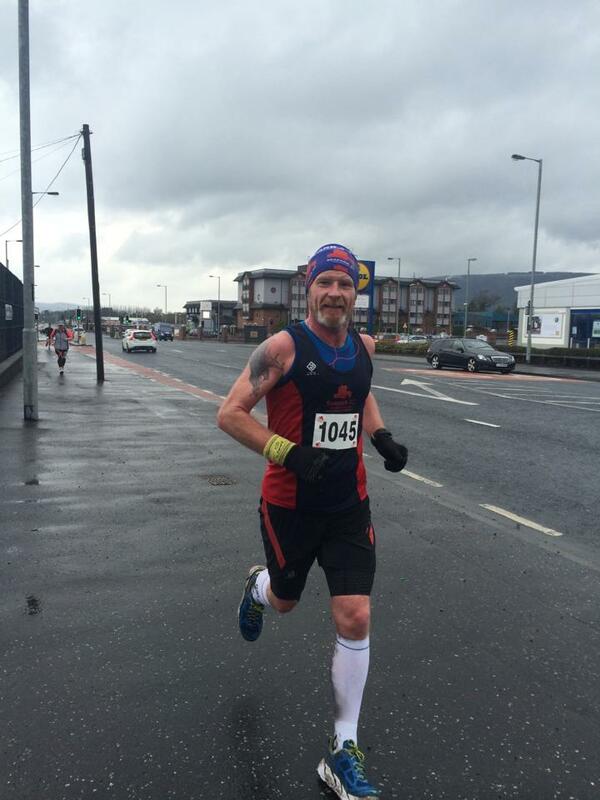 Mo Farah may have come 3rd but Neill Harper was 4929th with 1:54:22 while Trevor Lamb was 7232nd with 2:04:34. Technically, since it was an IAAF official race, these are their world rankings. 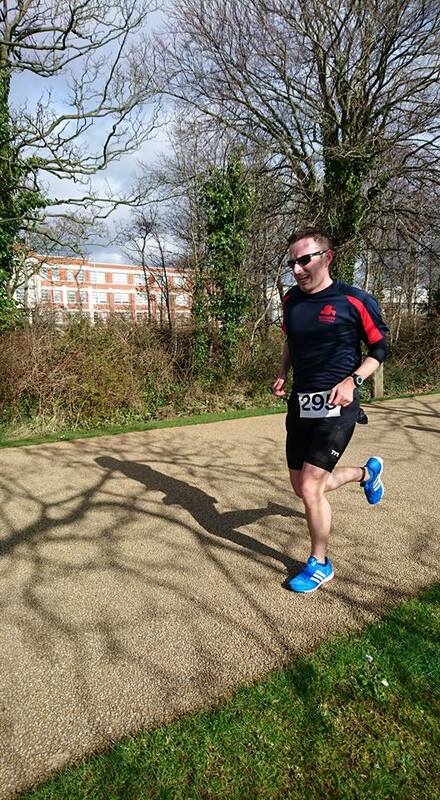 In a slightly different challenge Ian Cleland completed in the NI Sprint Duathlon in Belfast comprising a 2 mile run, 10 mile cycle and another 2 mile run. Ian completed the course in 1:01. 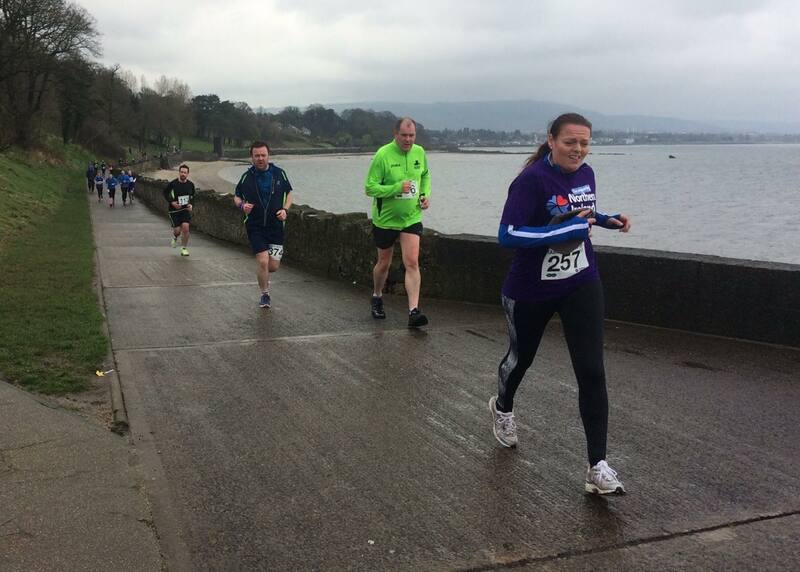 On Easter Monday 10 Seaparkers took part in the Whitehead 5 mile road race. 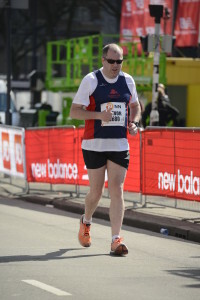 Ian Cleland was the first Seaparker to finish with a time of 30:35. He was followed by Bobbie Irvine 32:41, Alanah McCombe 35:26, Jonathon Bell 36:45, Lynda Shannon 37:13, Andrew Smith 39:37, Jennifer Jackson 41:35, Allan Grant 42:44, Rosin McConnell 44:07 and Sarah Johnston 45:41. On Sunday the 03/04/16 a number of Seaparkers competed in the latest EAMS event. 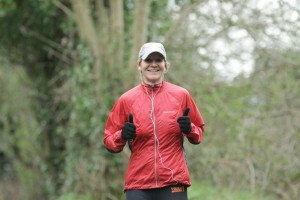 Official times haven’t been released as yet but Alison Welsh was the 2nd lady home for the half marathon in around 2:08. 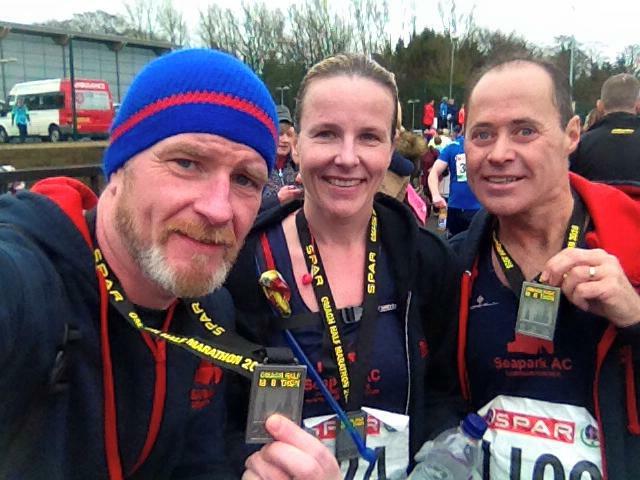 While in the full marathon Seapark was represented by Charlie McCormick 3:26:46 (PB), Brendan Rice 3:52:04, Gilliam Studwick 3:54 (PB), Gillian Cordner 3:59:25 and Karen Waring 5:15. 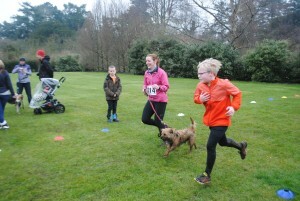 Just up the road at Hazelbank at the same time was the 2nd annual Rabbit Run 5K. 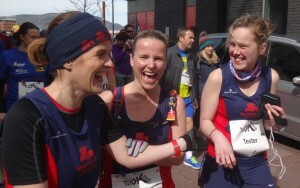 Gun times are only available. 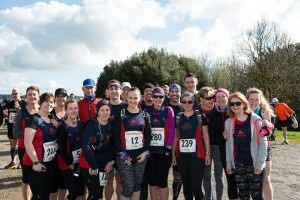 The 5K was attended by Bobbie Irvine 20:31 (6th place finisher), Julie Clyde 25:32, Philip Magill 26:58, Trevor Lamb 27:17, Laura Laverty 28:24, Rebecca Tester 28:25, Lynette Magill 29:06, Josephine McAlister 30:16, Beverley Kernoghan 32:54 and Helena Perry 33:43. 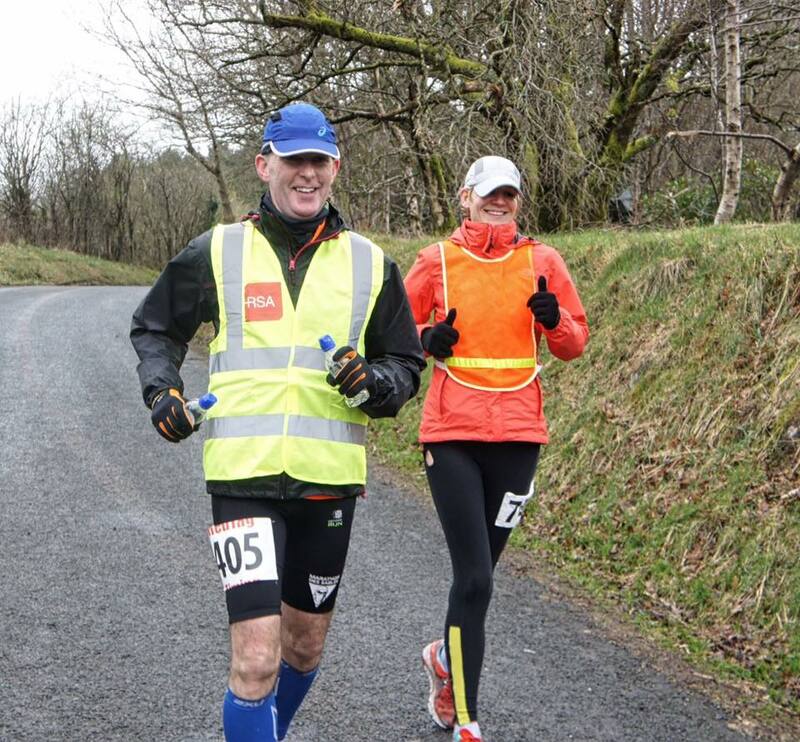 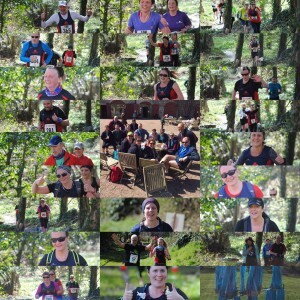 Also on 03/04/16 was the latest RunHer 10K at Delamont. 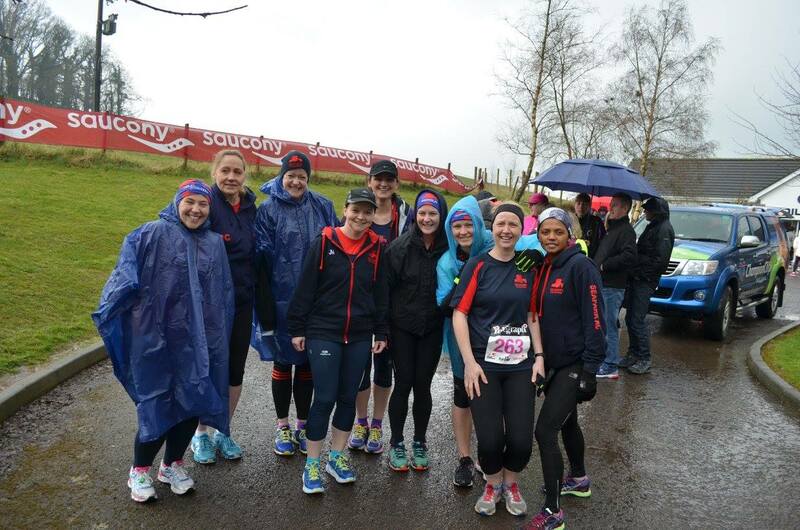 Competing in it where Elisoa Crawford who was 4th overall with 44:31, Jennifer Jackson 56:16, Carol Woods 59:11, Jacqui Coghlan 1:00:21, Julie Kelly 1:03:31, Karen Hanson 1:04:01, Julie Marshall 1:07:44, Nicola Dhunlop 1:08:30, Geraldine Kane 1:17:20 and Carol Downey 1:20:30. 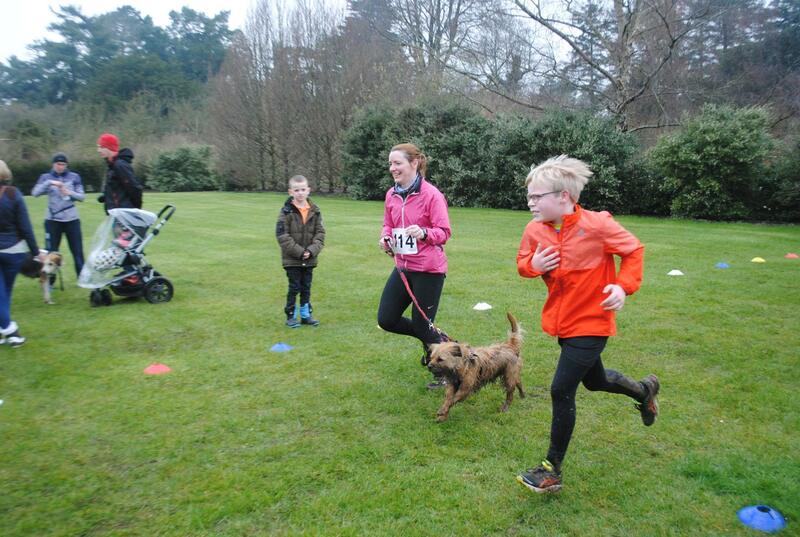 And if that wasn’t enough the Waggy Races 5K at Larchfield was also on Sunday 03/04/16. 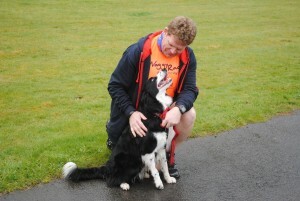 Four Seaparkers attended the event with their K-9 companions. 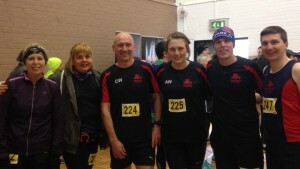 Robert Murray with Cody took 6th place overall with 23:38 and they were followed by Neill Harper with Oska 27:57, Julie-Ann and Harry Mitchell with Sparky 36:17 and Glenda Murray with Bazil 46:25. 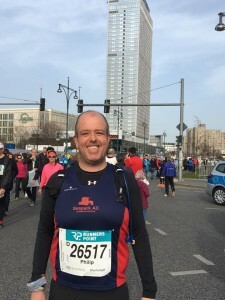 A bit further afield Karen Poag 1:57:32 and Philip Poag 2:07:01 attended the Berlin Half Marathon on 03/04/16.